Who’s behind Personal Finance Tips blog? Hello everyone! Thank you for visiting this blog. 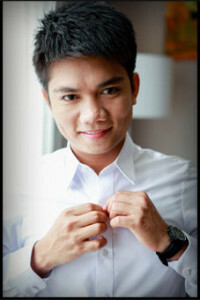 I am Billy Ramirez, the author of Personal Finance Tips here in www.thinkpesos.com. I’m 2_ years old and married to my beautiful wife Rowiecar. Currently, I’m working as a network administrator in one of the biggest foreign BPO company here in the Philippines. I’m a writer wanna-be. A feeling blogger and an aspiring entrepreneur. I discovered my passion in personal finance along the way of seeking opportunities to improve my financial situation. I also discovered my passion in personal success/development and entrepreneurship after reading the book Think and Grow Rich by Napoleon Hill and Rich Dad Poor Dad by Robert Kiyosaki. Since then, I never stop learning and educating myself. My ultimate goal in life is to be happy. To live my life to the fullest. To provide better life and bright future for my family and spend quality time with them, to be financially free and to help others. Like you, I’m just a normal Filipino dreaming to achieve financial freedom. I’m not a financial guru or expert. In fact, like many of us, I am also a newbie in financial world. I can only share what I know including my own opinion. You may need to seek assistance from a registered financial adviser if you need professional advice. This blog is for informational purposes only. 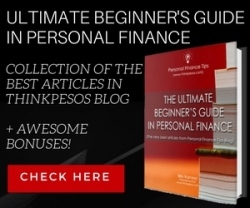 As mentioned above, this blog was created to share basic personal finance tips and information to other Filipinos like me who wants or just started their journey in financial freedom. While there are a lot of personal finance blog available online, I believe that each of us has a unique views and experiences in life that we can share to help and inspire others. Again, if you have questions or something that I can help, please send me an email by clicking here. Or you may want to advertise on this blog and become my partner. See the details here. Join me and this blog in our journey to financial independence. Let us all take one step forward in fulfilling our goals and achieving our dream. Let’s spread financial literacy, one blog at a time! What’s on Personal Finance Tips blog? As mentioned, this simple blog was created by the author to share basic financial literacy, personal finance tips and other money related things that can help you increase your financial knowledge. You can find articles about success and money mindset, budgeting and saving, investing 101 and tips how to earn more money. If you’re looking for personal finance tips and information that can help you gain more financial knowledge, you’re on the right place. Most of the topic are applicable in the Philippines where the author lives. The author may also share personal experiences, point of views and other personal things that might help other people in success and financial and life in general. Many Filipinos want financial freedom but very few are taking action. If you’re one of us, this blog can help and provide you personal finance tips that you can use in your everyday life towards your financial freedom journey. Some of the information here may not be applicable for you, kindly check those which you think will work for you. If you’re new on this blog, visit this page to give you the basic and foundation. You may also check this blog’s archive to see all pages and published articles. Thank you for your time. Feel free to browse, read and learn from this blog. Then take action! And of course, don’t forget to share them to inspire and help others too. If you want to advertise on this blog and become my partner, see the details here. You may like our facebook page or subscribe to rss feeds to get more updates. If you have inquiries or something in mind, send me an email here. To our financial freedom, cheers!